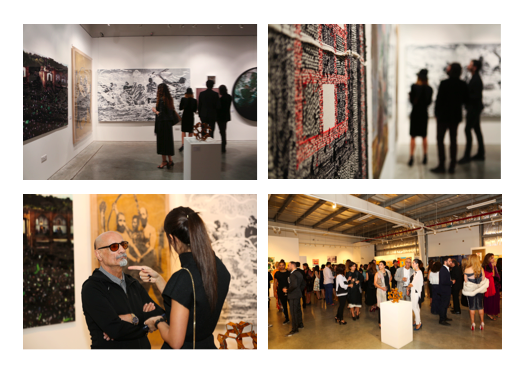 The final part in our travelling exhibition which began at the Niavaran Cultural Centre in Tehran, was opened with a private reception, dinner and auction at the JAMM Art Gallery in Dubai on 13 March 2016. The exhibition preview and reception was following by a seated dinner, inaugurated by our keynote speeker HE Sheikh Nahayan Bin Mubarak Al Nahayan. The dinner was then followed by an auction of the exhibited works. Dedicated to contemporary Iranian art, this travelling exhibition showcased an eclectic selection of contemporary artwork, donated by emerging and established artists. 'Remembering Tomorrow' | Tehran | Exhibition Preview & Cocktail Reception.